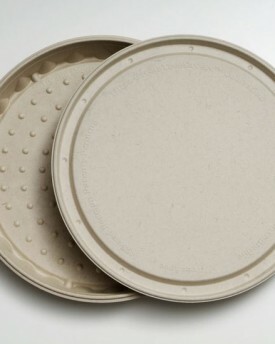 Our selection of pizza trays are durable, stylish, and 100% compostable. These products are made from all natural renewable fibers and they are oven-safe up to 375 degrees. Available in many sizes with fiber and clear lids.